Graeme Wood writes in the National Review June 3 (gated, but inexpensive) about hunger in the United States. Wood argues that the new documentary, A Place at the Table, overstates the extent of hunger. Citing recent research by Hattori, An, and Sturm, Wood casts doubt on claims that food deserts are widespread or that they cause overweight. Wilde, the Tufts professor, says that we could theoretically just pay for the missing and potentially missing meals of the food-insecure, for a price of a few billion a year. But if you think, as he does, that the problem will persist as long as poverty does, then this solution won’t be enough. “With the food-centered approach, the common theme is If only we had the heart,” Wilde says. “But hunger is a more daunting problem.” Whatever you think can be done to make people richer (tax cuts? tax increases? ), that’s probably going to be your best guess about how to get rid of hunger. But given that we can’t agree on how to end poverty, we probably shouldn’t assume that the solution to hunger is any simpler. 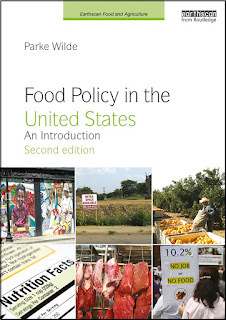 In pursuing a poverty-centered approach to understanding hunger, I'm influenced by Mark Winne and Janet Poppendieck. It could make some readers uneasy to see these ideas make their way to the National Review, where the predominantly conservative readership may receive these themes in a different key from their original transmission. But, it doesn't bother me. I am glad to see both conservatives and liberals thinking seriously about U.S. poverty. And I talk to anybody.